Alerts & Discussion Posts: What’s the Difference? As a Social Sentinel client, you may wonder, ‘What is the difference between a discussion post and an alert?’ Both require your attention and contain valuable information, and not every associated post results in immediate action. Similar to incoming tips received by phone or in-person conversations, there are varying degrees of immediacy that need to be factored into your assessment when reviewing your Social Sentinel feeds. Some provide insight into the overall safety of your learning environment or the social-emotional climate of your students, while others require immediate investigation or intervention. Having this broad range of intelligence support a holistic safety and security program. Learn the differences between associations found in your Alert and Discussion queues, as well as some tips for working with your feeds below. Before a post triggers an alert, it must meet specific system criteria. First, there must be a match between content in the post and assets provided and determined relevant to your safety. It could be something mentioned within the post’s content, or perhaps details volunteered in the author’s public-facing account biography. The post must contain specific content that is indicative of unsafe, suspicious or harmful activity that matches terms in our Social Sentinel Search Library. For social media scanning, the post must be public. Establishing a routine to review both queues of Discussions and Alerts leads to increased awareness into the social-emotional wellness of your school. How Alerts fit into your safety strategy. When potential threats are identified, they are delivered in near real-time, arriving as a text message to those named on the account. The assigned team assesses what next steps need to occur, similar to the way they would review any safety-related information. Tip: Language use online isn’t always clear, which is why it is important to review the post’s content in its full context. Social Sentinel allows immediate access to the entire post online and the author’s public feed, enabling clients to make an informed and timely assessment. The posts in your feed categorized as Discussion deliver a broader perspective on the overall safety of the school and typically do not require a need for immediate action. Local community chatter: e.g., people talking about the recent lockdown at the local high school, how they feel about a particular local event, etc. Tip: Discussion posts can be reviewed with the same ease and intuition built into the design of the Alert queue. They benefit your safety strategy best when analyzed in aggregate. Think of them as trend indicators while reviewing, or a reflection of your learning community’s top-of-mind concerns. Three ways to get the most from your data feeds. Familiarize yourself with the desktop and mobile experiences. Social Sentinel’s desktop interface encourages deep dives into the overall application performance and its findings across your subscribed data sources. The mobile interface serves as a near real-time partner to the desktop app, giving you instant access to alert details and context to make quick assessments. Check your feeds daily. Doing so helps keep you connected to the relevant safety communications concerning your school. Upon regular review, new trends may present themselves so proactive steps to could be taken to maintain safety and avert harm and violence. Set protocols to assess and address the alerts you receive. 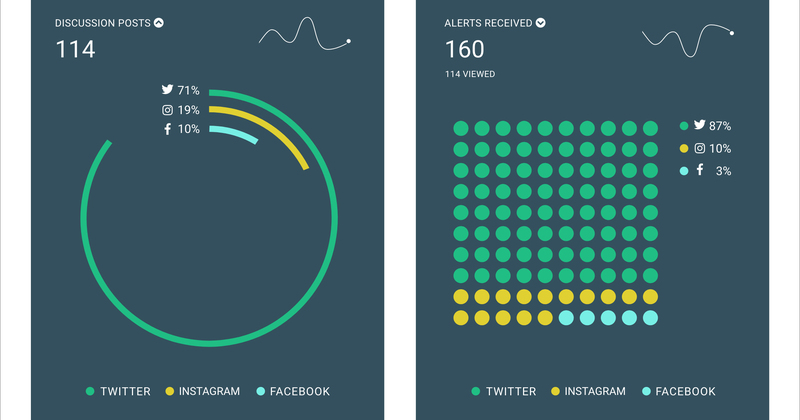 An easy-to-follow plan for who and how alerts should be reviewed is critical. Create one with your team to set who’s responsible—and who else needs to be kept aware—when alerts arrive. Doing so takes the guesswork out of addressing an alert internally, allowing you/your team to focus on assessing its level of severity. The cries for help and warning signs are often shared online, so having the protocol in place to find them and respond to them can help you develop and maintain a culture of safety.